NEW YORK -- The Rev. Al Sharpton says his National Action Network is planning a march on Washington, D.C. on Saturday, Dec. 13, to protest the excessive use of force by police and to involve the federal government in the Eric Garner case and others like it. 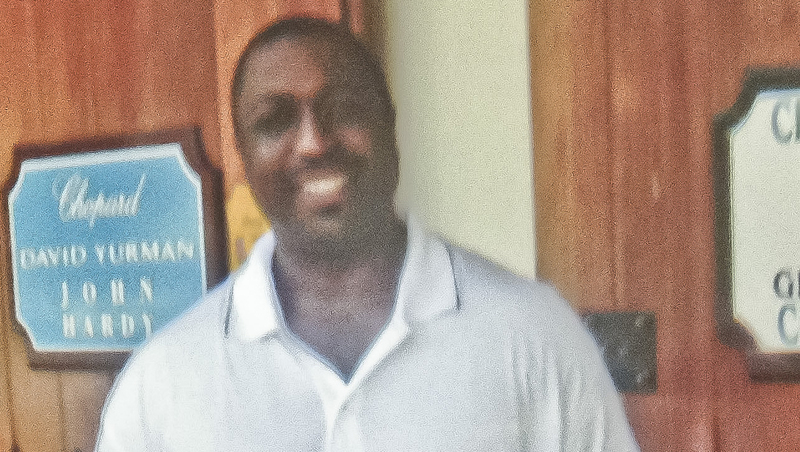 A grand jury declined to indict a white New York City police officer who used an apparent chokehold on Garner, who was black, and who died after the July confrontation in the borough of Staten Island. In a news conference Wednesday night, Sharpton said the march will be led by Garner's mother and widow, as well as by the parents of Michael Brown, the black teenager who was killed by a white police officer in Ferguson, Mo. who was not indicted, and by the family of Axai Gurley, who was fatally shot by a New York City police officer in the stairwell of a Brooklyn housing development. Garner, a father of six, died after police officer Daniel Pantaleo attempted to arrest him for allegedly selling loose, untaxed cigarettes. The grand jury began reviewing evidence in the case on Sept. 29. Wednesday night, Eric Garner's mother, Gwen Carr, said she is "truly disappointed" by the grand jury's decision. She added, "I don't know what video they were looking it...evidently it wasn't the same one the rest of the world was looking at." Eric Garner's widow on accepting officer's condolences: "Hell no"
Jonathon Moore, an attorney for the victim's family, said earlier Wednesday he is "astonished by the decision." Pantaleo released a statement after the decision. He offered his condolences to the Garner family and said he "became a police officer to help people and to protect those who can't protect themselves." "It is never my intention to harm anyone and I feel very bad about the death of Mr. Garner," Pantaleo said in the statement. Asked if she accepted the officer's apology, Garner's widow, Esaw Garner, said "Hell, no," also saying the time for remorse was when her husband was saying "I can't breathe" eleven times during the confrontation. The grand jury decision sparked protests in several New York City locations Wednesday. The Department of Justice announced it will a criminal civil rights investigation into Garner's death. President Barack Obama spoke about the case during the White House Tribal Nations Conference, in Washington, D.C.
"(It) speaks to the larger issues that we've been talking about now for the last week, the last month, the last year and, sadly, for decades," Obama said. "And that is the concern on the part of too many minority communities that law enforcement is not working with them and dealing with them in a fair way." Congressman Charles Rangel (D-NY) was among several New York City elected officials who expressed disappointment in the decision during a Wednesday afternoon press conference. Rangel criticized Richmond County District Attorney Daniel Donovan. "Which side was the district attorney on? Was he seeking truth and justice in terms of the homicide?," Rangel said. In a statement, New York Mayor Bill de Blasio described Garner's death as a "terrible tragedy that no family should have to endure." "Eric Garner's death put a spotlight on police-community relations and civil rights - some of the most critical issues our nation faces today," de Blasio said. Citing reforms to city policing practices, including the decline in the use of stop-and-frisk tactics and a re-training of officers on the use of excessive force, de Blasio said the city is working to bring the police and community closer and change law enforcement culture. "The people demanded something different. It's my responsibility... to achieve that on behalf of the people," de Blasio added during a Wednesday evening press conference. In cellphone video of the Garner incident, Pantaleo is seen placing his arm around Garner's neck and then taking him to the ground after Garner refuses to be handcuffed. Garner is heard saying repeatedly, "I can't breathe!" He died a short time later. The New York City Medical Examiner's office ruled Garner's death a homicide, caused by the officer's apparent chokehold as well as chest and neck compressions and prone positioning "during physical restraint by police." An independent forensic investigator hired by the Garner family agreed with the medical examiner's findings. The use of chokeholds is banned in the New York Police Department. In September, Commissioner Bill Bratton said that officers will get annual training on the use of force. Garner's death is among a series of controversial fatal confrontations this year between police and young African-American males. The city has seen ongoing protests since a grand jury in St. Louis County, Mo. declined on Nov. 22 to indict Darren Wilson, a police officer accused of killing teen Michael Brown, in Ferguson, Mo., in August. New York police have been preparing for days for the possibility of widespread protests in reaction to the grand jury decision in the Garner case.